The Creative Pie: Online Video Streaming Comes To The Big Screen With Veebeam. Online Video Streaming Comes To The Big Screen With Veebeam. How do you watch and consume TV and video content these days? Well, if you own a laptop or PC it is more than likely that you will be used to streaming your favourite TV series and films from the internet. Whether you are downloading HD films from iTunes or streaming them from Lovefilm or watching last nights episode of The Apprentice on the BBC iPlayer you will be enjoying the benefit of being able to prioritise the way you consume video and TV content whilst not being restricted by the broadcast schedules. It's TV to fit your schedule and not the other way around. However, you may still be feeling one restriction though and that is the screen you are watching this content on. Is the laptop too small to give you the full cinematic experience and is your PC regularly occupied by another member of the household? The solution to these niggly little issues could well have arrived in the shape of Veebeam HD. This clever device wirelessly transmits anything you can see on your computer screen onto your TV. Meaning that you could instantly transform your modest 15 inch laptop view into a stunning 42 inch home cinema experience. The great thing is that there are no wires and it is so simple it takes just a couple of minutes to set up.The new HD model streams up to 1080p for a crisp, clean and colourful picture and optical audio output allows you to enjoy your surround sound. In it's Play To mode you are able to stream files directly without having to display them on your laptop screen. To do this you just download and install the Veebeam software, remove the USB dongle from the cradle and plug it into a free socket on your laptop. This means you’re not monopolising the laptop, and someone else can surf or work at the same time. 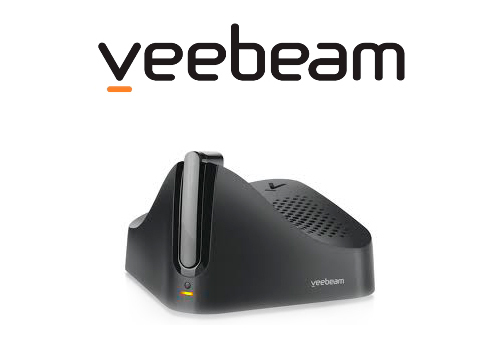 The Veebeam HD is available to purchase from Amazon for £139. For more information on this product and to watch a short demonstration video visit the Veebeam website. Is this the logical next step for online video content? Can it compete against rivals such as Apple TV? I would be very interested to hear you thoughts.